Most of us have a Bucket List, whether we’ve written it out and had it laminated or keep a rough copy we constantly add to in our heads. They typically include activities such as skydiving, swimming with dolphins and African safari’s. But why not add one of these to your lists? Okay, so we might be a bit biased, but these walls are magnificent man-made spectacles, or in fact slightly odd sites which have become hot spots for tourists – take a look for yourselves. Built back in the 14th Century, The Great Wall of China can even, according to some, be seen from space. Stretching an astonishing 8,850 kilometres long the wall is built along an east-to-west line across historical northern boarders of China with the aim of protecting the Chinese Empire from attack of nomadic tribes. Want to visit? 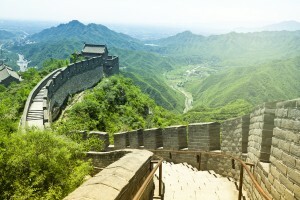 There are many tourist spots along the wall including the most famous location of Badaling. For those of you who wish to steer clear of fellow tourists and stick to more rural routes head for the Huangyaguan and Shanhaiguan sections. This entry was posted in Education on December 15, 2014 by Andy Ferris. Building Additions Find Global Success! Top Safety Accreditation for Building Additions! Building Additions Ltd, All rights reserved.